WOPEC is the first Postgraduate Education Centre for Optometry in the World, dedicated to excellence in eye care education through quality and independence. We provide a wide range of postgraduate taught courses as well as short courses for optometrists and eye care professionals in the UK and Internationally. 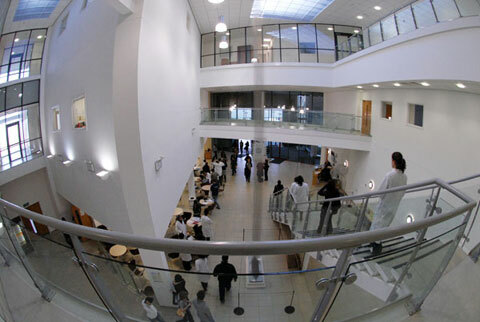 WOPEC is accommodated within the School of Optometry and Vision Sciences at Cardiff University and benefits from the involvement of Cardiff's internationally renowned academic staff. The new EHEW Manual comes into operation on Wednesday 1st August 2018, after which time you must adhere to the protocols and guidelines contained within. Please download the documents from here. Register with WOPEC to take part in our distance learning programmes, regional events and conferences. Earn CET points, gain new qualifications and keep your professional status up to date! Like us on Facebook to stay up to date with information about all of our courses, events and peer review sessions!